Instagram has made its Stories feature more like Snapchat’s one, but it seems that instagramers didn’t mind such an update. The new feature has drawn in quite a lot of views and acquired 50 million users in the past three months. Now Instagram Stories have become a more encouraging way for brands to lure new users to watch their content on this great platform. Nevertheless, in order not to give you false hopes, we should note that simply using this feature doesn’t guarantee that your brand will increase your audience interactions and boost company sales. Pictures are not enough. The product descriptions and photos can tell much about how it will perform, but reliance on them alone slows you down on the way to the desirable sales. Featuring clips of the item in action can seduce customers and shorten that path a lot. You might have seen the sports clothing companies that feature athletes going through a workout with their stuff on. By presenting your product in use, you’re giving customers a better sense of what they’ll get when purchasing from you. Limited time always increases the sense of urgency. When a product or giveaway is available only for some period of time, it forces your audience to make decisions and act on. Hosting limited-time promotions is a great way to get a small burst of activity and engagement with your company’s brand. If you have some extra products like notebooks or T-shirts, put them to good use. These promotions work so well because your Instagram audience is already following you since they like your work, products and they want to see more of your content. Use Instagram Stories to share something interesting, inspiring or simply funny to engage with your audience. It might be something to brighten your users’ day. Barkbox shared some funny clips of a pet interview involving a cheerful pug and an employee. If you know your audience well, find some nice stories to reflect your brand, and your followers will associate positive feelings with your company — isn’t it a part of your strategy? Your Instagram followers are likely subscribed to your profile because they are interested in the industry you represent. Highlighting the industry-related news in your stories might improve your company’s image as an expert in the field and show your audience how much you care about the industry. There’s no need to try to promote your company all the time unless your goal is to make them feel like their interests are of no importance to you. However, sharing industry news will not only improve the image of your company, but will also make your followers feel like they are a part of your world. What do people want to see when scrolling through Instagram Stories after work? It is definitely not a boring graph that would catch their eye. People are naturally curious and competitive, so find something that would fit these attributes. A game can be a great solution to engage with your audience. Your followers will rise to the occasion when a challenge presents itself. Traditional posts do not provide as much stimulation and entertainment as games do. The very possibility of playing games with your followers opens a wide range of things you can do: play guessing games using your products or treasure hunts awarding the people who find the answer. It takes your creativity and open-mindness to see your audience increase. Having creative and exclusive content is the thing that will lure the audience to follow you on multiple social media channels. Use Instagram Stories to share the vibes from company events with your followers and let access something they won’t find anywhere else. This will help you draw your audience’s interest so that they are far more likely to stay engaged with your company updates. Social media is not about idle talking; users’ interests have changed a long time ago. Now, SM gives you a great opportunity to share various educational resources and teaching moments. Your followers will really appreciate this. A travel blogger can use Instagram Stories to teach followers about cultural practices, low-cost traveling, etc., or host a quick geography lesson. Your brand can give viewers some insights on your product development, interesting facts about the industry, or announcements of upcoming events. The best way to prompt your audience to act is to use CTAs in your Stories. It can suggest anything you want: to view the latest products, check out your website, or attend your booth at the exposition. It is only up to you what your followers will do: you can lead people through the paths of your marketing strategy simply with the help of Stories feature! 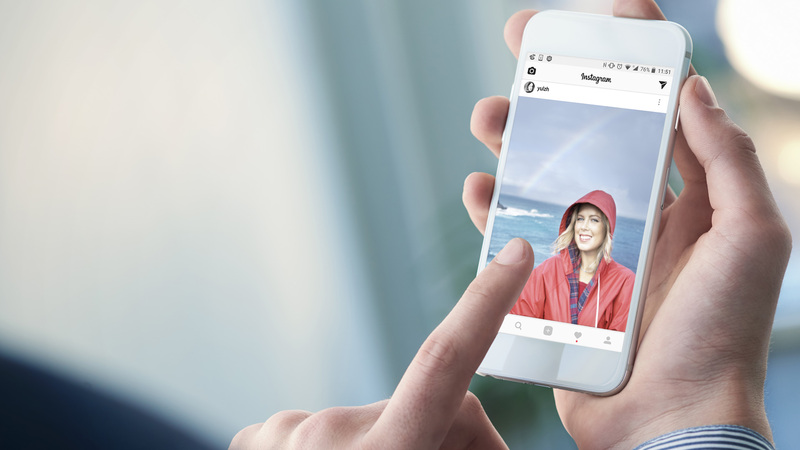 Instagram Stories can start a new era for your brand; with more than 250 million Instagram users, your company can tap into a huge new audience. Make sure whatever media you create works brilliantly for your brand’s vision and reputation. Try out some of these Stories ideas today and see how your audience responds!